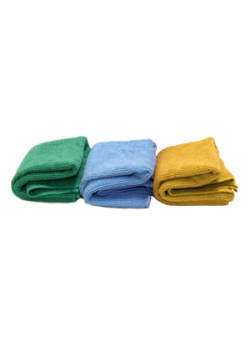 Celeste’s generously sized and heavier weight microfiber towels are made from 70% polyester and 30% polyamide. These microfibers have excellent cleaning qualities, are lint free, washable, and re-usable. Ideal for use as part of a color coded cleaning program with our Complete Hygiene products.